Corporal Michael A. Estrella was born in Hemet, California, on 25 August 1985. Upon graduating from Hemet High School in 2003, he enlisted in the Marine Corps in September 2003, and completed recruit training at Marine Corps Recruit Depot San Diego, California. Corporal Estrella continued his Military Occupational Specialty (MOS) training at the Field Radio Operator Course at Twenty-nine Palms, California. After graduating from Field Radio Operator Course, Corporal Estrella was assigned a primary MOS of 0621 (Field Radio Operator). He reported for duty with 3d Battalion, 3d Marines in May 2004. Corporal Estrella completed a deployment to Afghanistan in support of Operation ENDURING FREEDOM in June 2005 and deployed again to Iraq in support of Operation IRAQI FREEDOM, where he was killed in action on 14 June 2006. Corporal Estrella’s personal awards include the Purple Heart and the Combat Action Ribbon. 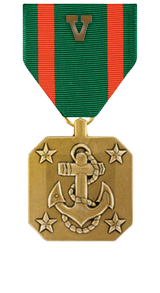 Professional achievement in the superior performance of his duties while serving as Company Communications Chief, Company I, 3d Battalion, 3d Marines, Regimental Combat Team-7, I Marine Expeditionary Force Forward, from March 2006 to June 2006, in support of Operation IRAQI FREEDOM. During this period, Corporal Estrella’s performance significantly contributed to combat operations in Haditha, Al Anbar Province, Iraq. Corporal Estrella’s performance during 24 combat patrols was well above the expectations for someone of his rank, experience and billet. He successfully and expertly repaired, maintained and advanced every facet of the company’s communications abilities. He effectively and tirelessly served as the company communications chief, responsible for 312 pieces of serialized equipment. During the relief-in-place and transfer of authority in March 2006, Corporal Estrella developed a user-friendly and versatile tracking system enabling the company to accurately track and account for all serialized gear within the company. Corporal Estrella’s initiative, perseverance, and total dedication to duty reflected credit upon him and were in keeping with the highest traditions of the Marine Corps and the United States Naval Service.